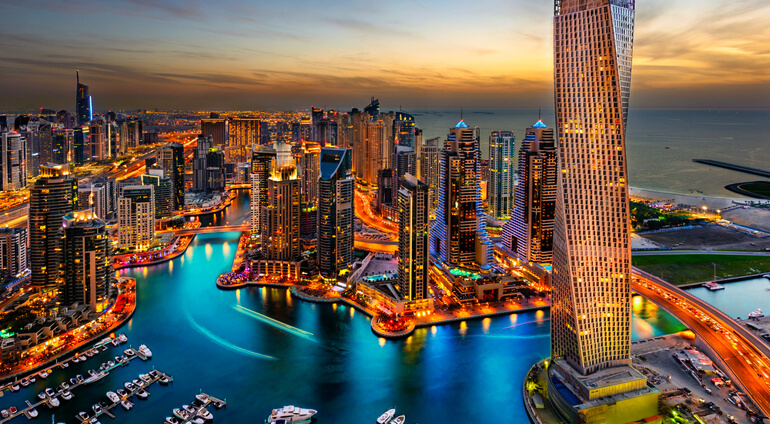 Have a look at low-priced flights to Dubai from Globehunters. Dubai is a holiday destination like no other - with opulence in abundance the city which has sprung from the desert will surely leave you in wonder. There are a wide range of hotels, amazing beaches, fun activities and world class shopping to be enjoyed in this City so there is something for everyone. Dubai International Airport is modern and now a major hub for international travel. When flying to Europe and other countries, Dubai is one of the major routes airlines use today. There are excellent transport links to the city of Dubai from the airport, including taxis and buses.